recommended for: Fans of The Crown's Game by Evelyn Skye, Star-Touched Queen by Roshani Chokshi, or Throne of Glass by Sarah J. Maas. It's hard to write this review after reviewing The Crown's Game because the two have similar elements but Skye does the historical side better. Still, I won't shortchange Purdie. 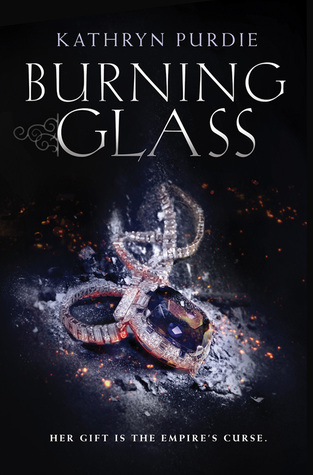 Burning Glass is an innovative tale that offers an exciting plot and a lot of loveliness. Perhaps its best feature is the concept of the Auraseer. Let me fangirl for a moment. Like Empaths in previous fantasies, Auraseers are born with the ability to feel the emotions of others. Only Purdie trumps her predecessors by taking the concept to its limit. It's a fabulously creative idea, and half the fun of this read. Not only do Auraseers feel others' emotions intellectually, they actually feel them. If people around are angry, the Auraseer will become angry. For an untrained Auraseers, this can mean acting on the emotions of other people. It can mean being unable to distinguish one's own emotions from those of another. It can have deadly consequences. And here, it does. In this empire, Auraseers are mandated to be taken and trained from birth so they can serve the emperor when they come of age. Imagine an adviser who can tell you when someone in the room has murder on the mind. But Sonya was in hiding for years, and now as a teenager, still has a wild and unchecked gift. Her inability to control it causes a horrific disaster and, when the emperor kills his Auraseer and demands a replacement, Sonya is all that's left. By horrific, I mean absolutely devastatingly awful. Purdie spares her characters no pain--wrenches them through hell, in fact. It's a bold and shocking beginning that colors Sonya's actions for the rest of the story, and adds darkness and depth to the plot. It also sets the tone: Purdie won't go easy on you, and anything is possible. With Sonya now the imperial Auraseer, the plot becomes a web of palace intrigue. The emperor Valko is despised, the people prefer his brother Anton, and Sonya finds herself feeling inextricably drawn to both men--but whom can she trust, especially when her feelings for each of them may not be her own? And how long can she last as an untrained Auraseer who might lose herself at any moment? It's a thrilling story, tightly written and fast-paced, with all the best ingredients. Court gossip. Illicit romances. Dangers from abroad. Assassins. Secret rebellions. And without meaning to, Sonya finds herself at the center of it, with the power to decide the fate of an empire. 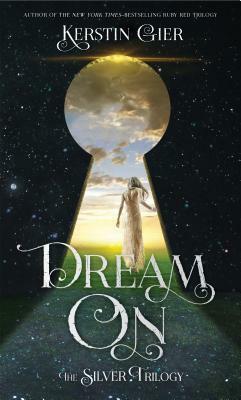 The sweeping scope gives the story an epic feel and harks back to the courtly intrigues of old and new, The Three Musketeers and Throne of Glass. It's a cloak-and-dagger book that will keep you guessing, keep your loyalties shifting, and toy with your emotions in the best way. Burning Glass is a cloak-and-dagger story that blends fantasy and political intrigue, romance and rebellion, into one deeply enchanting tale. I didn't love Burning Glass, but I certainly didn't dislike it either. I think I just had a hard time connecting, and I wasn't thrilled that the romance was such a focus, since it wasn't my favorite romance of ever.